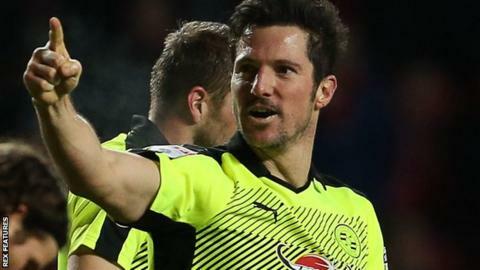 Reading striker Yann Kermorgant has extended his deal with the Championship club until the summer of 2018. The Frenchman, 35, was due to be out of contract at the end of this season after joining from Bournemouth for an undisclosed fee in January 2016. Kermorgant has scored eight goals so far this term for the Royals. "Yann has been very important for us throughout the season, with his experience and the quality that he has," Reading manager Jaap Stam said.